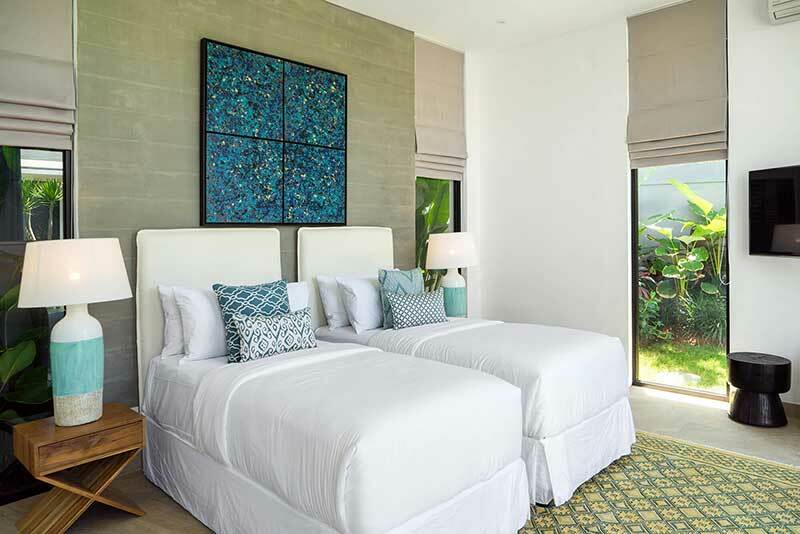 Villa Vida is a stunning beachfront villa that offers you four spacious and comfortable bedrooms. 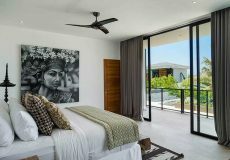 Making it an amazing beachside paradise accommodation where you only need a short walk to the beautiful natural lagoon. 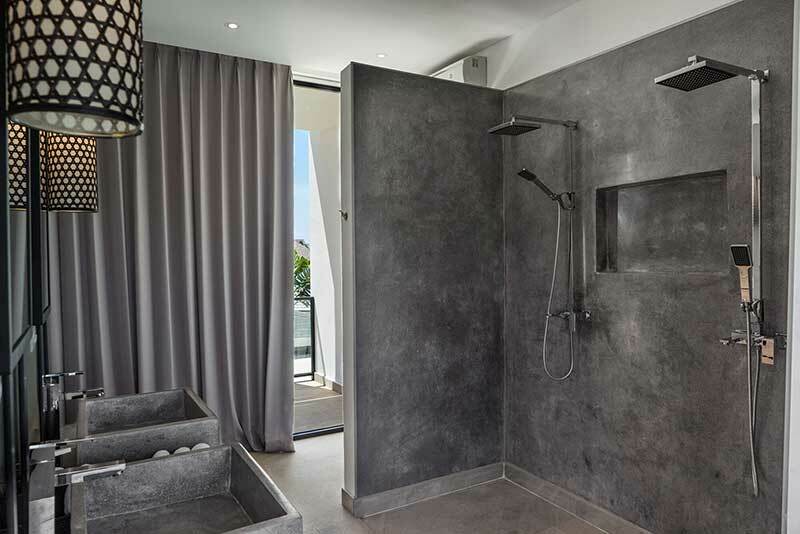 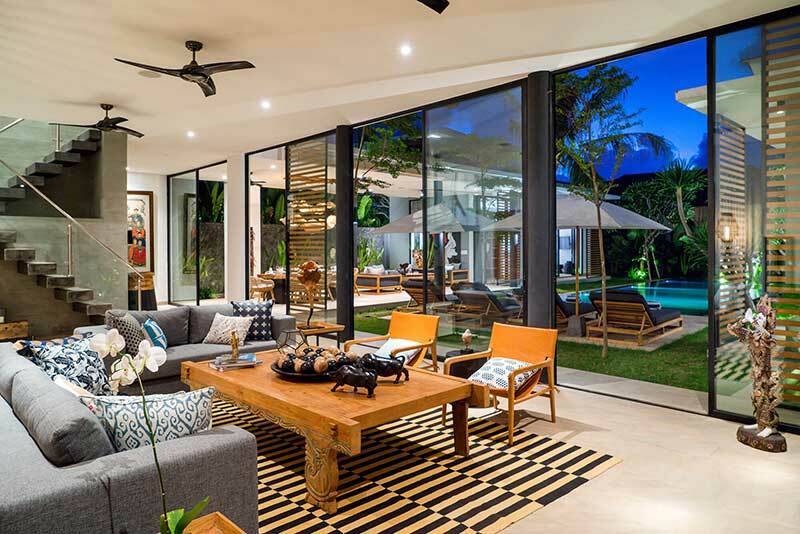 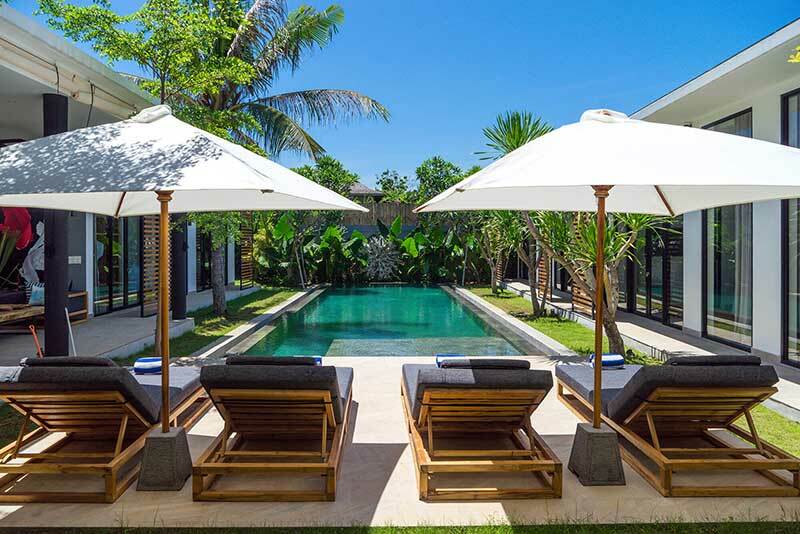 Villa Vida is located between the famous Berawa Beach with its beautiful surfer vibe and also Batu Belig which is famous for a number of famous and glamorous beach clubs, and Villa Vida is also located in one of the most sought after destinations in Canggu Area. 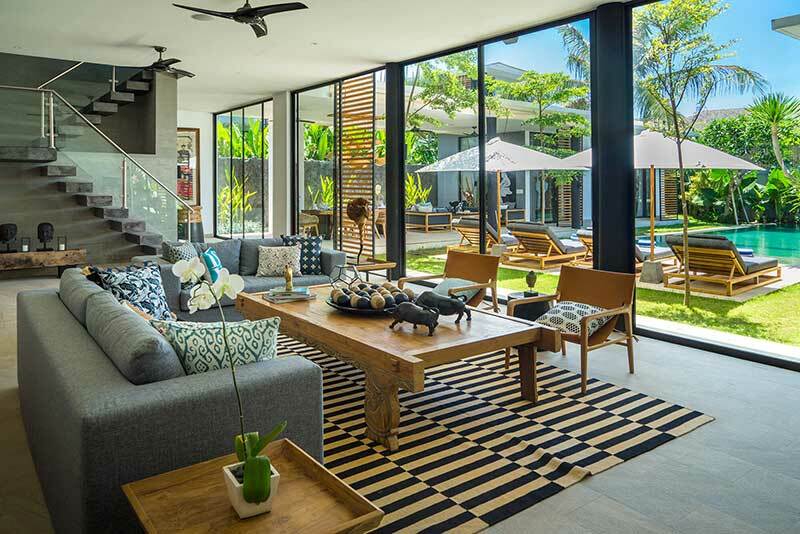 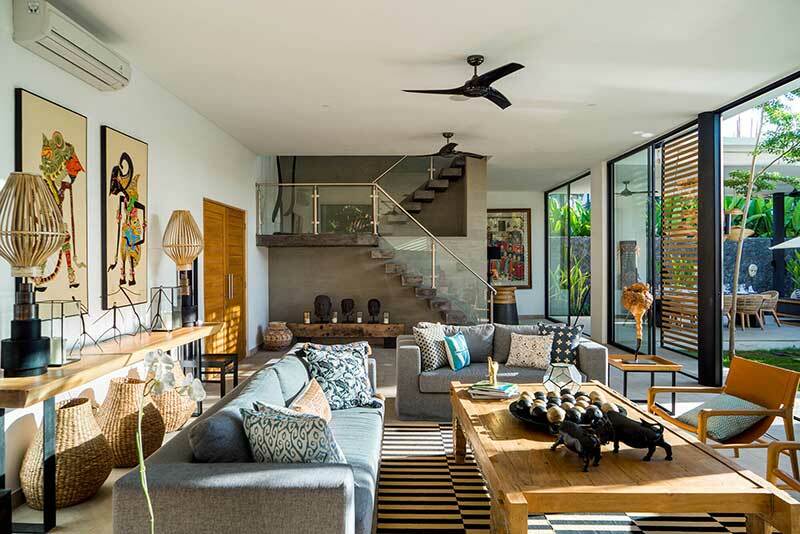 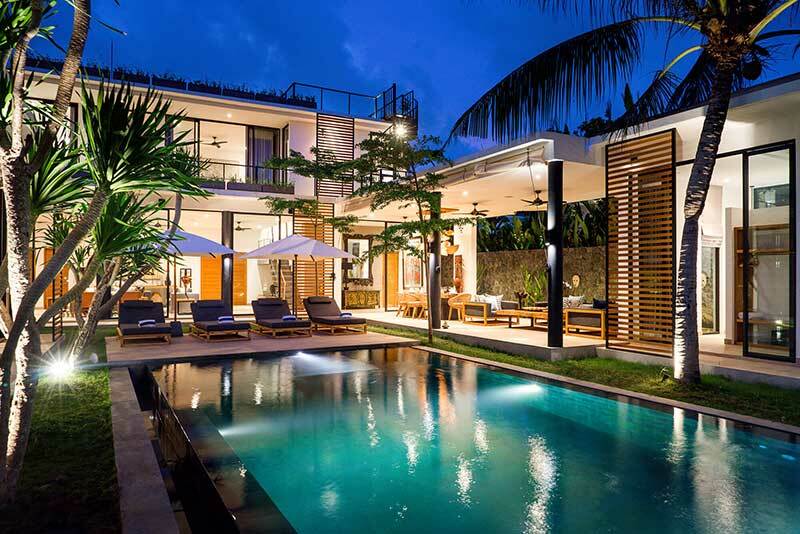 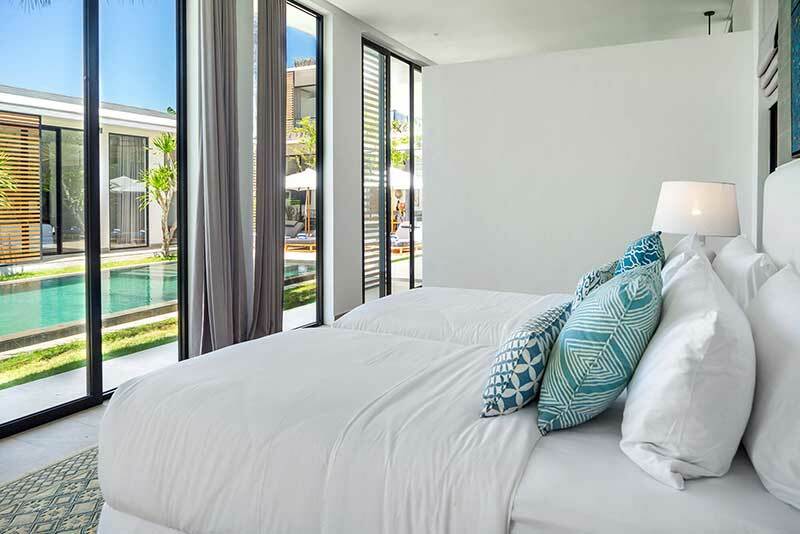 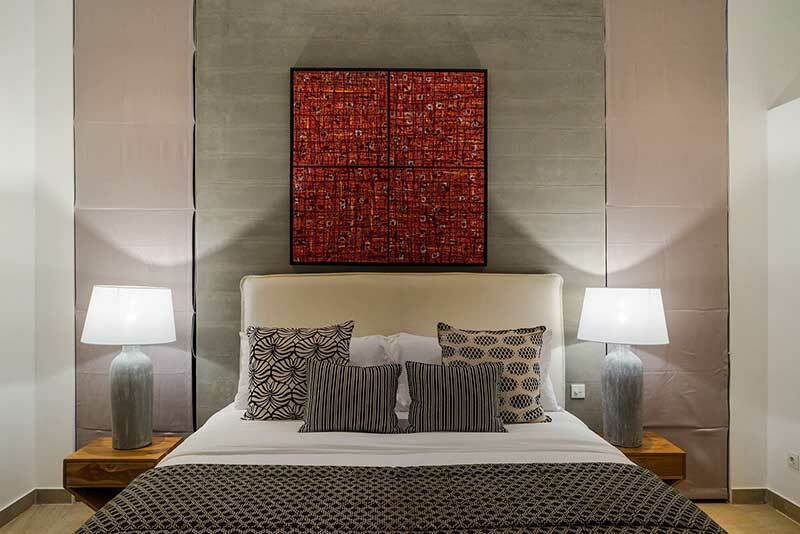 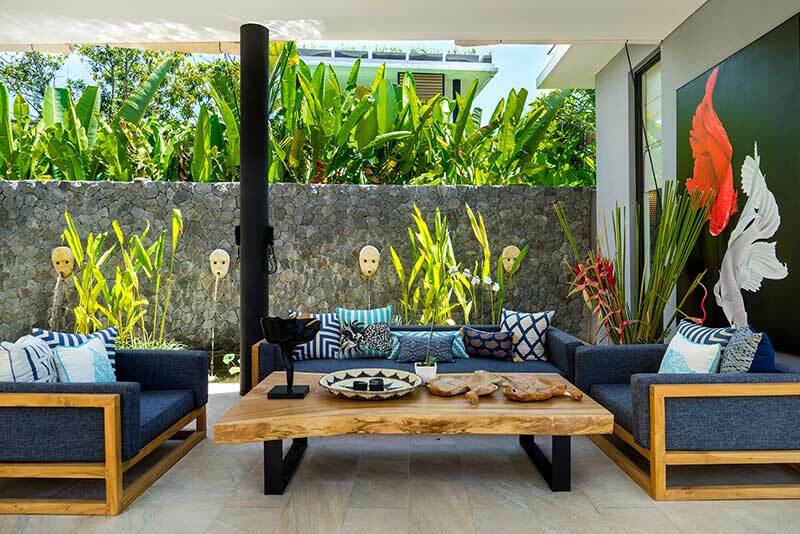 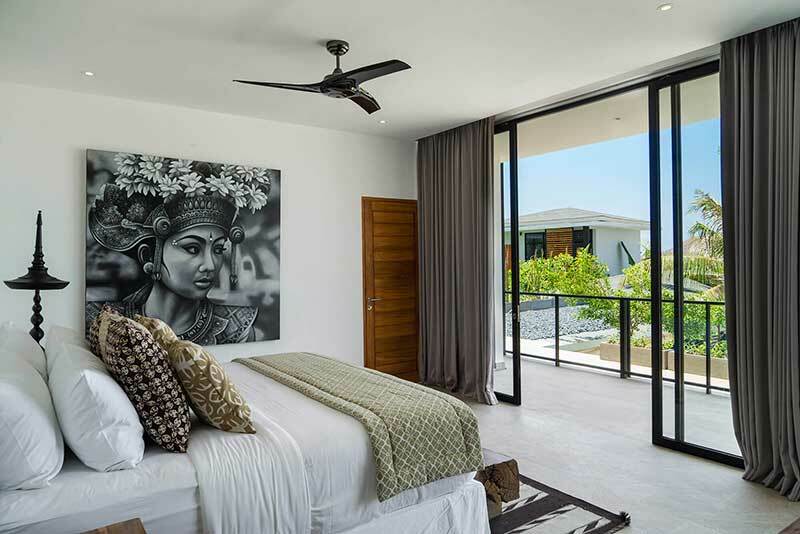 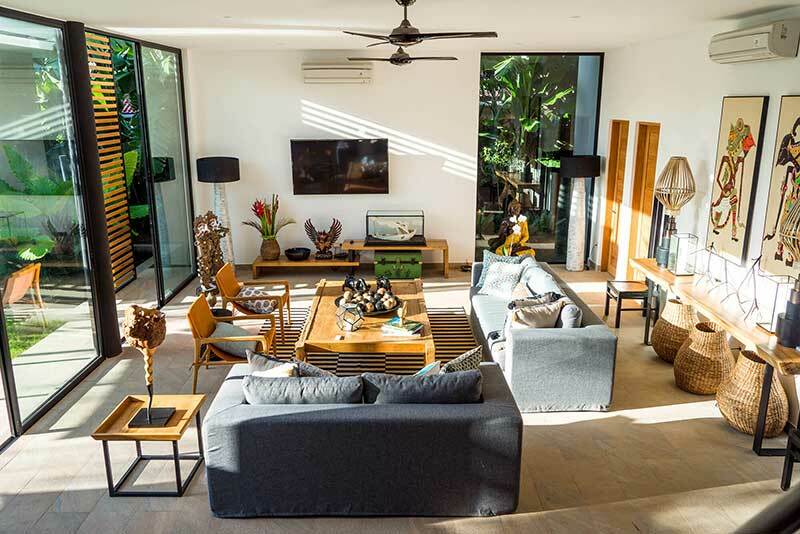 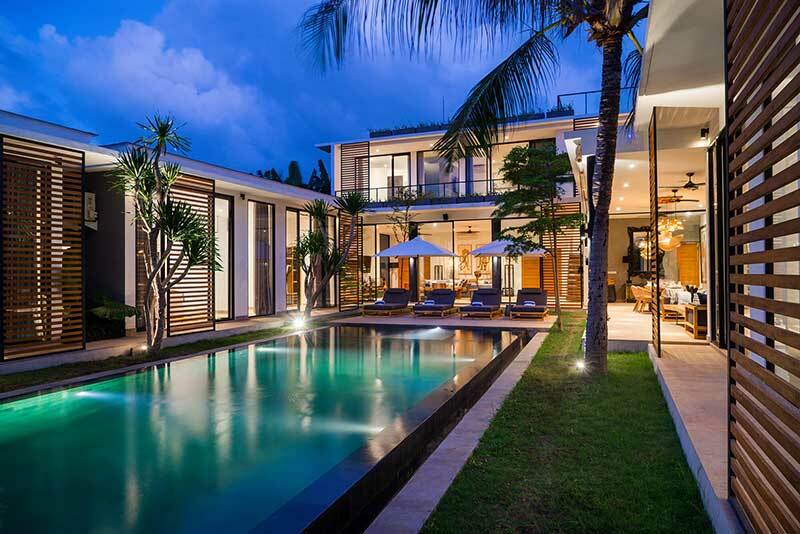 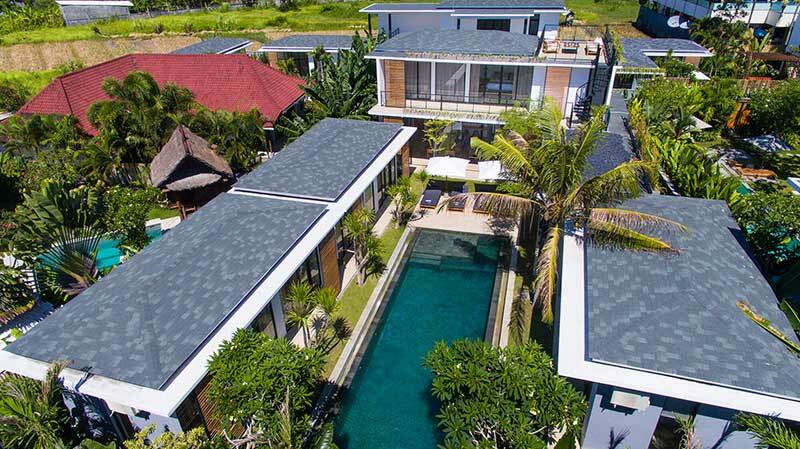 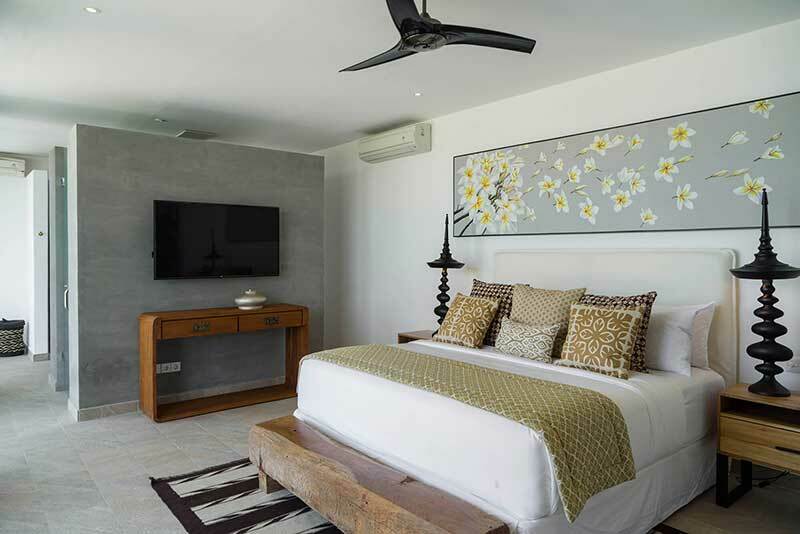 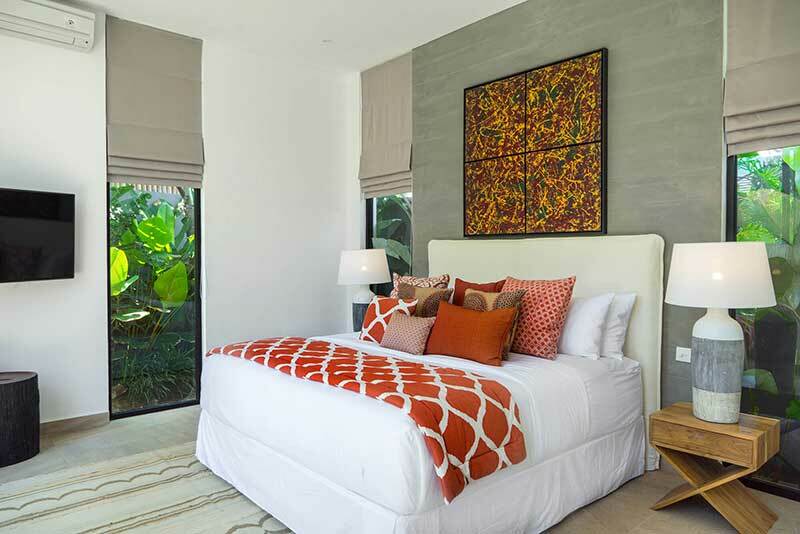 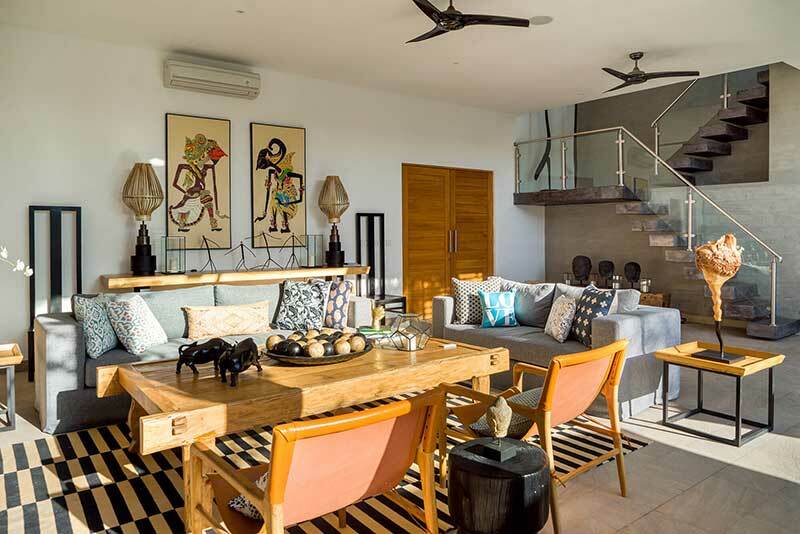 Villa Vida is a part of Canggu Beachside Villas Complex, a complex of beautifully designed and modern villas. 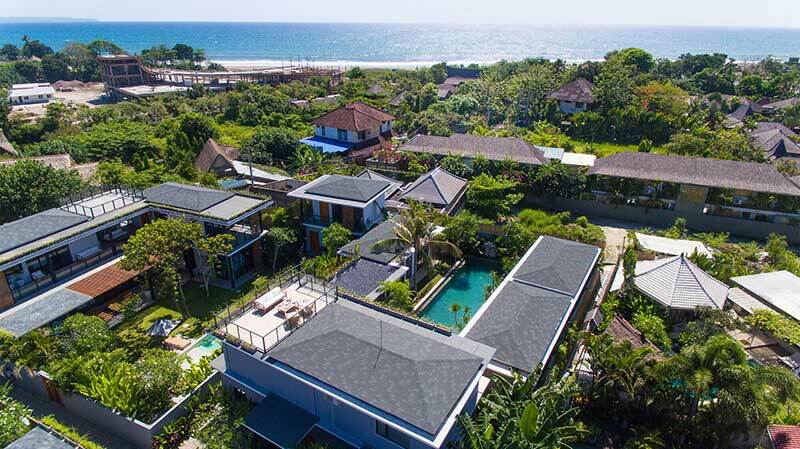 Where there is also Villa Gu with five bedrooms and Villa Boa with three bedrooms, which can accommodate up to 24 guests in total. 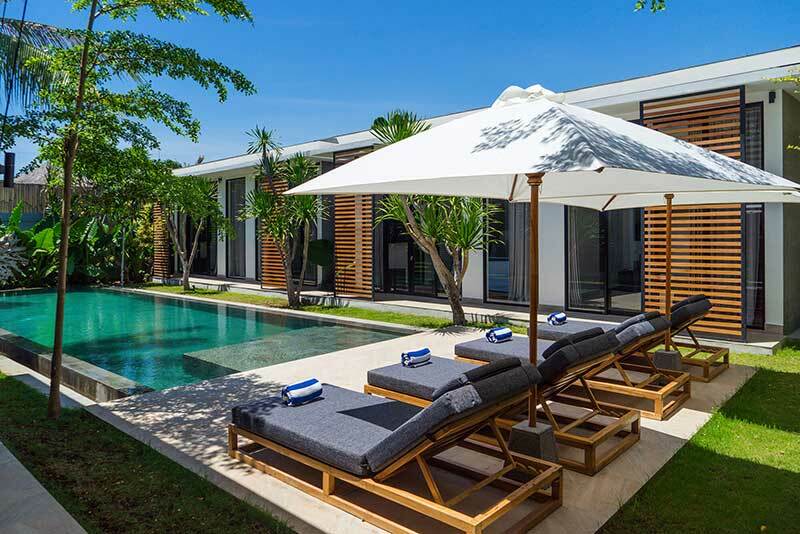 Here your privacy will be completely undisturbed, with each of the sweet private villas secluded in a large, walled garden. 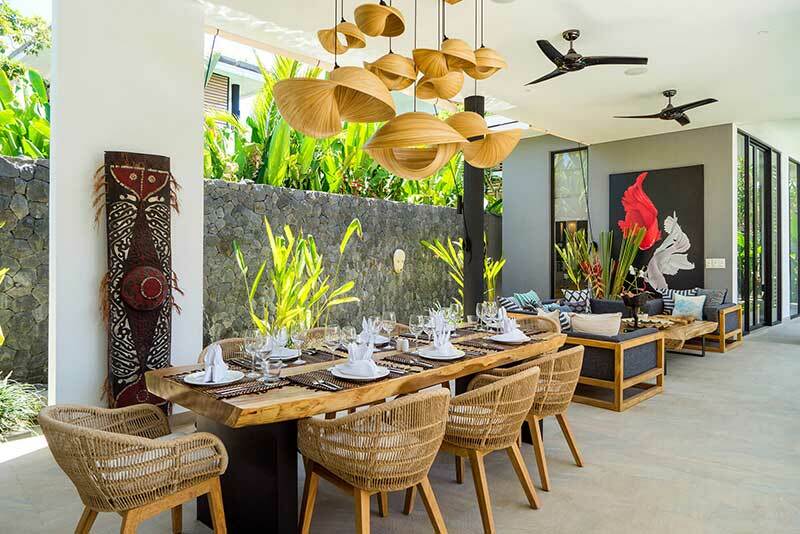 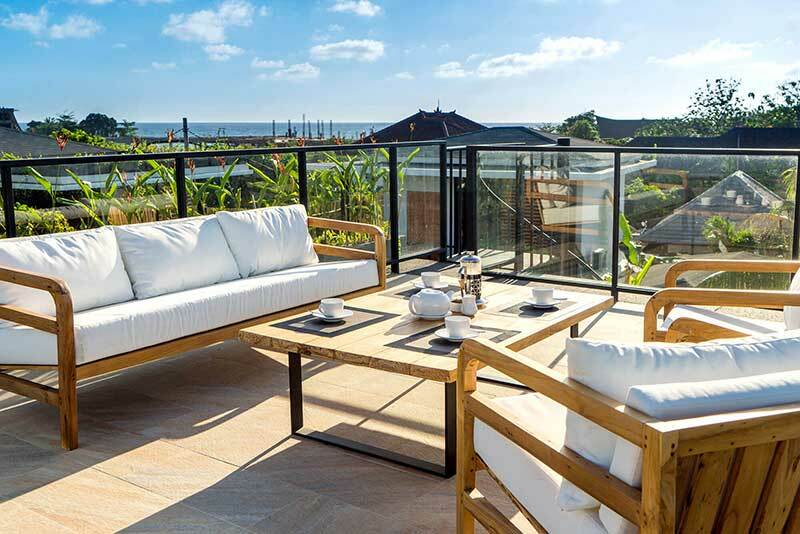 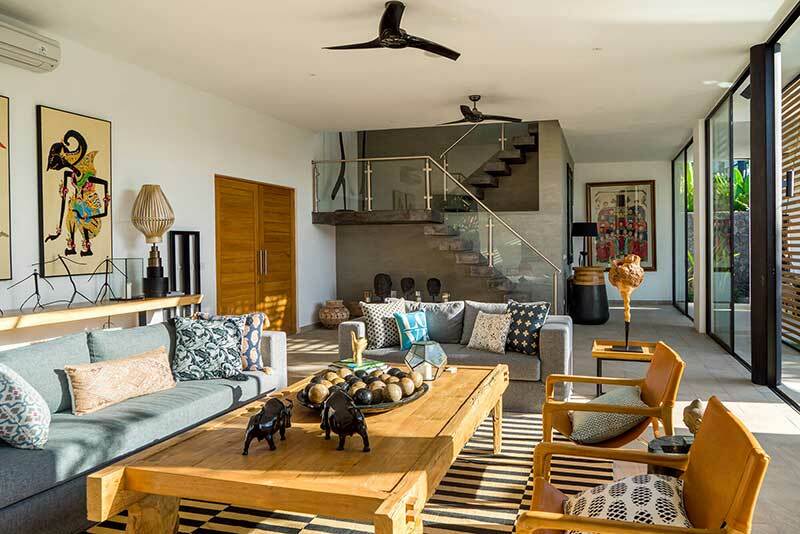 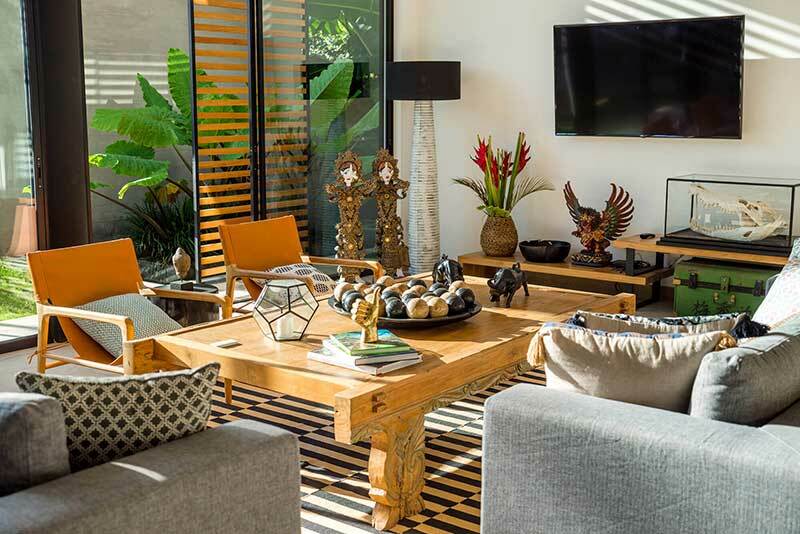 Villa Vida is designed with contemporary Balinese ‘chic’ design that meets the old-style Malibu charm equipped with a striking lounge in space and also an amazing outdoor dining room. 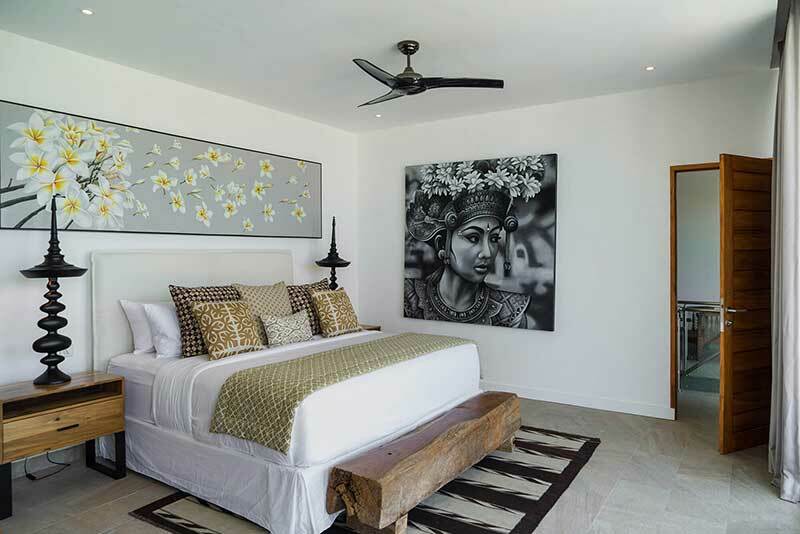 The villa’s master bedroom is very large on the first floor of the villa with a king bed, a luxurious en suite bathroom offering beautiful views of the surrounding area, while the other three guest bedrooms are located by the poolside villa with a king bed and also available private en suite bathroom. 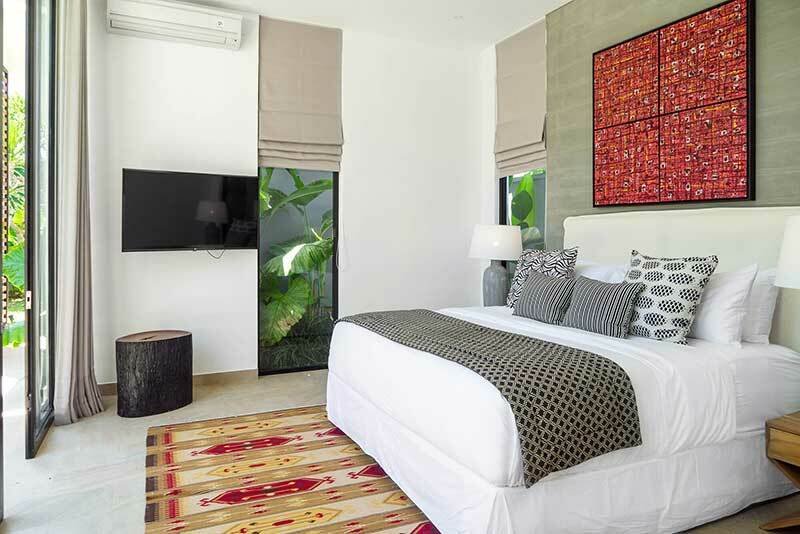 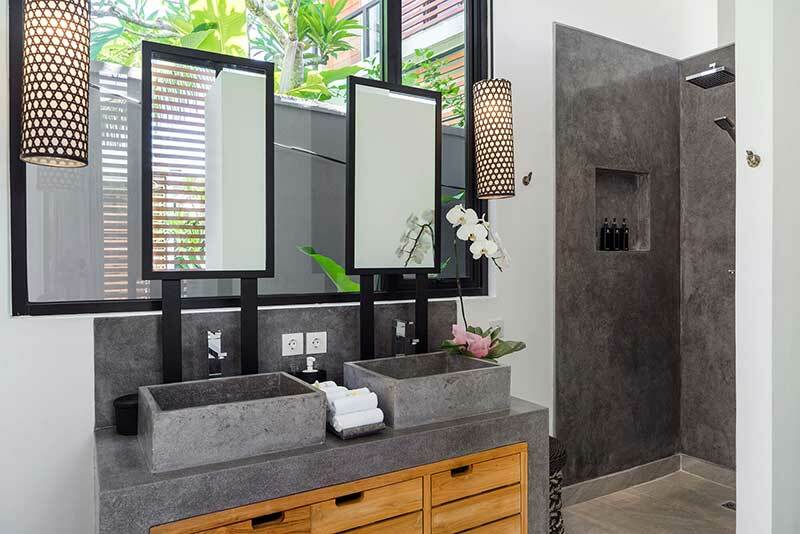 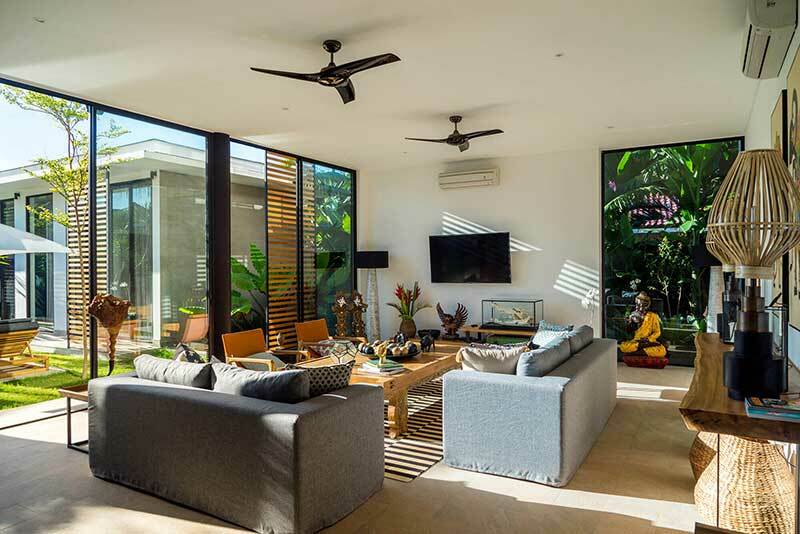 Bali Accommodation Villa Vida is surrounded by green tropical gardens, which are cleverly designed so as to create a feeling enveloped by lush greenery, and even when you are indoors. 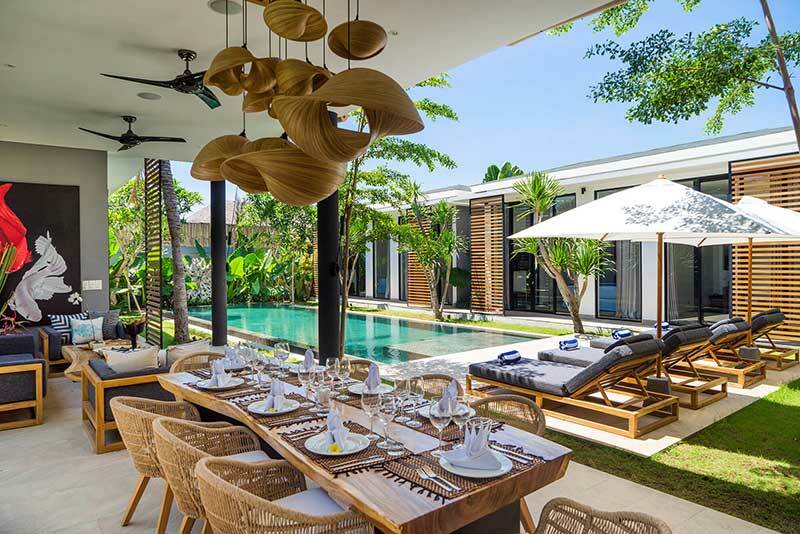 There are many choices of places for you to relax, chat or hang out while reading good books accompanied by a glass of fresh cocktails by the villa’s private pool measuring 15 x 4 meters. 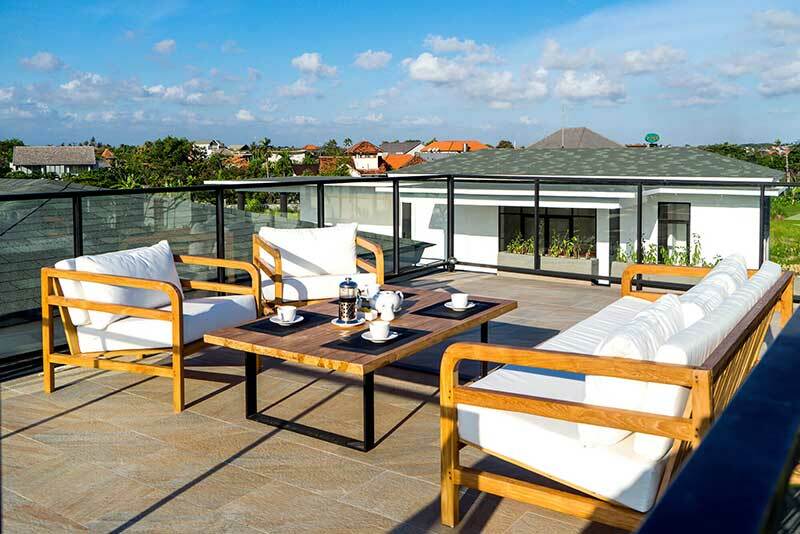 on the villa’s rooftop terrace there is also an outdoor seating area so you can enjoy beautiful sunset views. 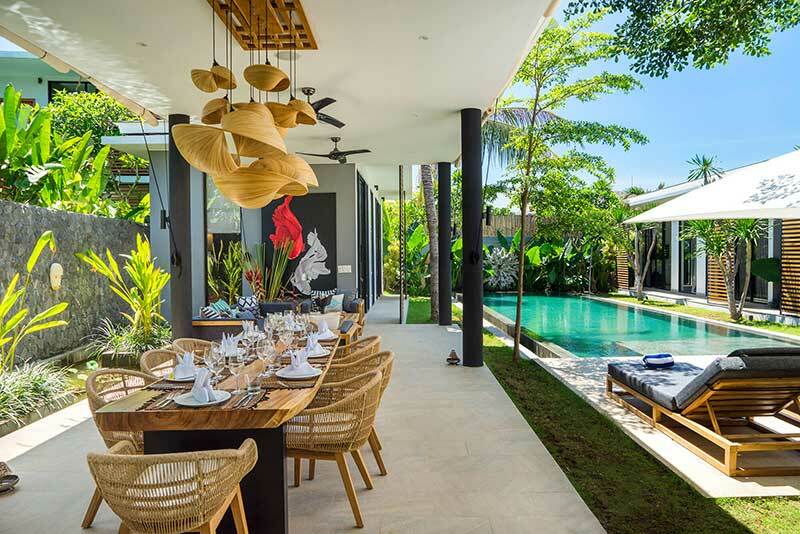 With the location of the villa which is very close to many of the best restaurants in Canggu Area and Seminyak area, it means that most of our guests prefer to dine and find other entertainment venues such as malls, fashionable boutiques, nightclubs and many clubs in this area.